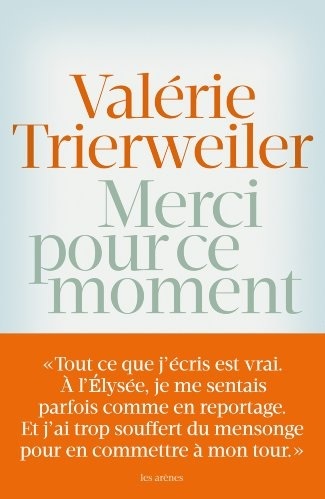 Yesterday and again today, the entire French media was dominated by only one subject: Valérie Trierweiler – journalist, 49-year-old mother-of-three and former First Lady – saw the publication of her book “Merci Pour ce Moment” (Thank you for this moment), telling her story of her relationship with François Hollande and their journey to the Elysée together, before he dumped her in bizarre circumstances last January for the younger actress Julie Gayet. To say that reaction to it has been colourful would be quite an understatement. For a Socialist president to be described by one who knew him so intimately as someone who “doesn’t like poor people” and who describes them as “toothless”, there’s a lot more vitriolic energy going on than the standard biographical work. For the President of the French Republic, it was a really bad day of biblical proportions on top of so many other bad days under his tenure. Extracts from the book had already been published on Tuesday in Paris Match (Ms Trierweiler still has a contract with the famous glossy magazine), invariably involving the most juicy and controversial, of course. 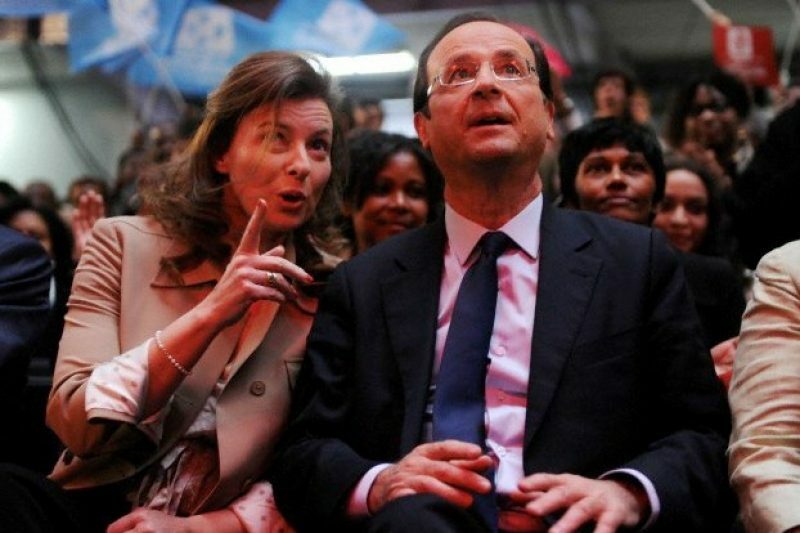 Hollande is said to be “devastated” by the allegations made in the book about his personal character and “surprised” and “angry” at the level of vitriol levelled at him – the most unpopular president in French history in middle of seeming interminable economic crisis. The tell-all book was written in complete secret and printed in Germany to avoid any possibility of leaks. When the extracts did appear on Tuesday, therefore, there was maximum impact with the element of surprise and shock. “The president saw nothing coming. He learned about it on Tuesday morning, just like everyone else. He doesn’t know what’s in it.” This was the reaction of one of his close entourage speaking to journalists at Le Parisien on Wednesday. Trierweiler – who was subject to some very cold treatment during their break-up and under the full glare of publicity back in January – had threatened to avenge herself by the pen from the very moment of her break-up with the President. She did apparently warn him of the impending storm with a phone call on Tuesday morning. Hollande is said to have bought a copy of Paris Match on Tuesday afternoon and reading the extracts from the book was clearly a painful experience for him. “I’m devastated”, he wrote in a text to a female friend of the couple. Earlier, a member of his entourage had described him as “floored” by the news of the impending publication. Most analysts would agree that the book is truly a killer blow for the already-tarnished image of the President: “He’s like a condemned man. It’s a sort of funeral oration. She’s unstoppable – she still has all their texts. He can’t keep going like this for another three years…” so said an exasperated Socialist Party official. The President does, of course, contest the unflattering portrait drawn by his former lover, but does not, according to those close to him, intend to give any public reaction to the attacks on his character. From the point of view of Ms Trierweiler, it all appears to be going as planned. The knife is in and the sales are up. So too, it appears, are her feet in her Paris home. She does not want to give any interviews or do any promotional tours. “It’s more difficult to speak than to write for the moment,” she told inquisitive reporters. Since the break-up, she has been writing furiously on her life in the Presidential Palace, it would appear, without knowing or deciding what she was going to do with it all. “During the summer, it became a book – nobody knew about it, not even my family.” The final book is 320 pages long and pre-orders an Amazon were already going through the roof before today. On Tuesday morning, a journalist working in the French parliament was the first to break the news of the book, apparently beating the author to it, who then followed up with a phone call to Hollande.